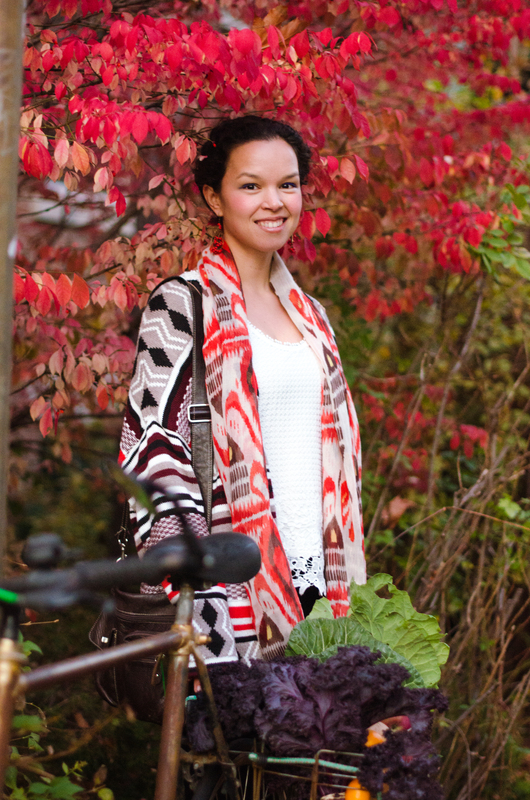 I hope you are having a good week so far! I sure am, minus a dilemma I’ve been having recently in regards to making a good soup stock. I have been battling with this for a very long time and have finally started to get some clarification. 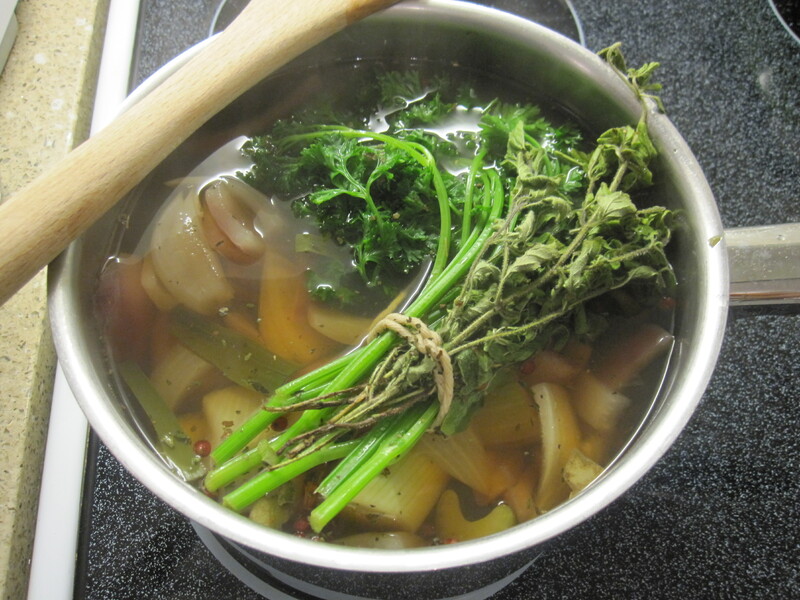 The big question of the day: Should you brown your vegetables prior to adding water when making a vegetable stock? This is a very tricky question because I always refer to the way I make a chicken or beef stock. Sorry vegetarians, bear with me! When making a stock with meat, I usually roast the bones and fat in the oven on high heat to get a nice browning on the outside of the bone and to reduce the fat so it can flavour my stock. Then I add the bones to some browned onions, add water, veggies and simmer for a couple of hours, let rest and filter off bones and solids to get a flavourful, coloured broth. 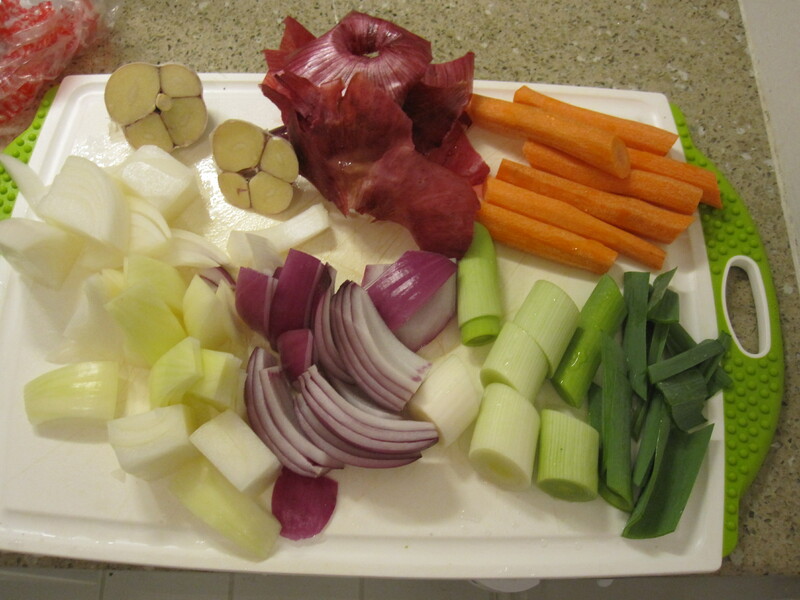 Since I had been getting such good results with the meat stock, I had been sticking to a method of making vegetable stocks where I roast the vegetables that I am using for my stock at high heat, then add with water and simmer for a few hours, filter off veggies and get the stock. However, I have been finding the stocks that I have made in this manner to be surprisingly a little too sweet. So, you know when you sear a piece of meat, you are doing chemistry! Yes my friends, it’s called the Maillard reaction and it involves the amino acids in the meat reacting with the sugars to make all sorts of flavourful compounds (such as glycosylamines though the Amadori rearrangement and many more products as a result of this intermediate). These reactions typically occur between 140-165 degrees C.
But when you roast a vegetable you are doing completely different chemistry! This process is called Caramelization and it involves the breakdown of starch into their respective sugars and many other reactions! 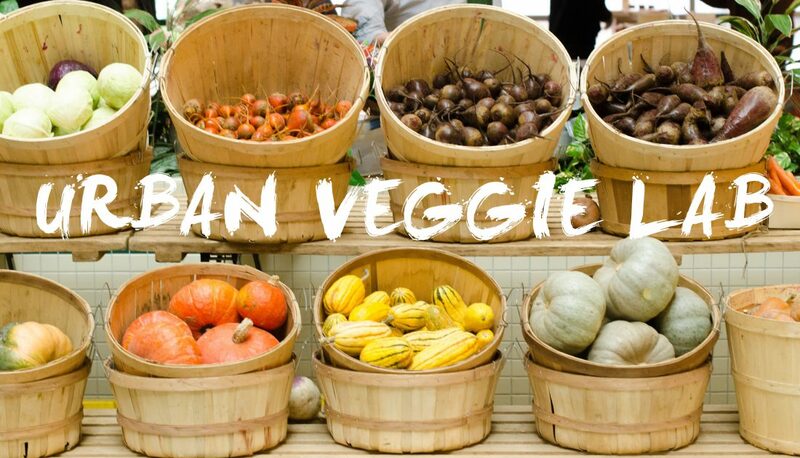 That’s why my veggie stocks were so sweet! 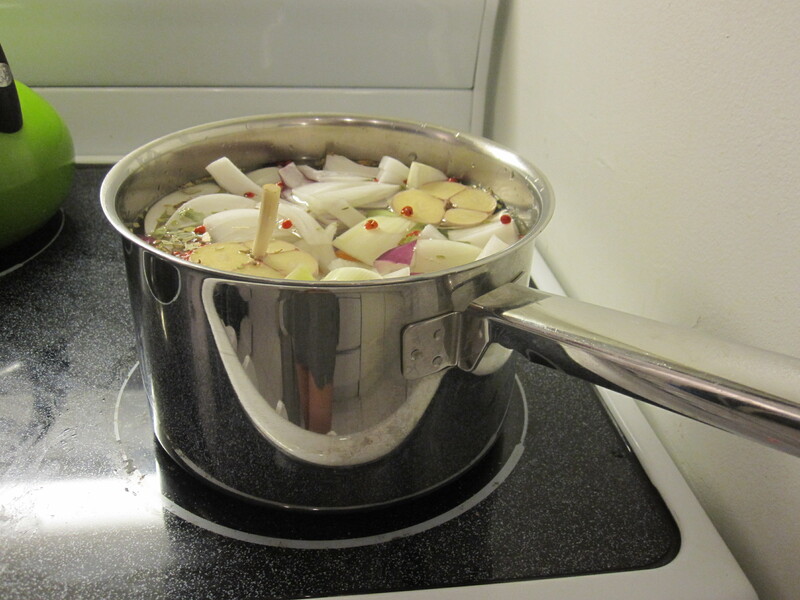 To fix the problem, I consulted Chef Gordon Ramsay’s method of making a veggie stock. And believe it or not, it was actually very simple! He does not recommend cooking the vegetables beforehand but his method of simmering the veggies for a short period of time enables us to achieve a whole different flavour profile! Since we are keeping the heat below 100 degrees, no caramelization can occur, instead the water-soluble molecules(that might otherwise decompose or convert to other compounds at higher temperatures) from the veggies are dissolved in the warm water as they cook. 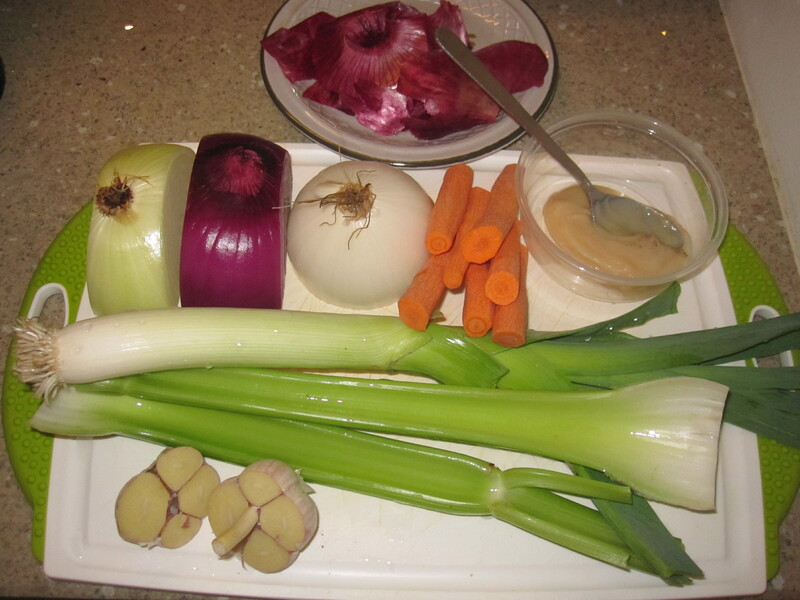 The addition of a splash of wine at the end of the recipe is to extract an additional type of compounds (basic compounds such as amines) out of the veggies and the result is a very flavourful earthy broth that can be a great base for any soup. I usually make my soup stock in advance and when I feel like soup, I throw in some fresh veggies and pasta and dinner is ready in less than twenty minutes! 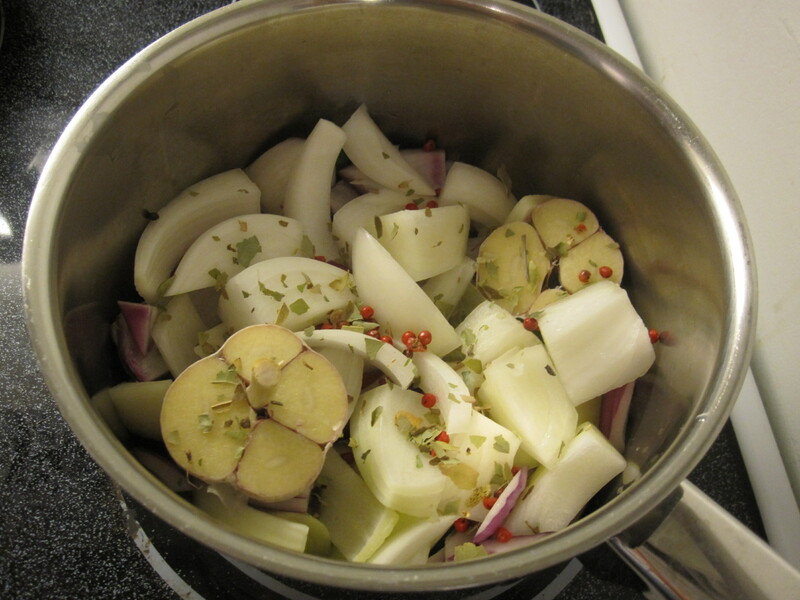 Chop veggies coarsely and add to a pot with the peppercorns and bay leaf. 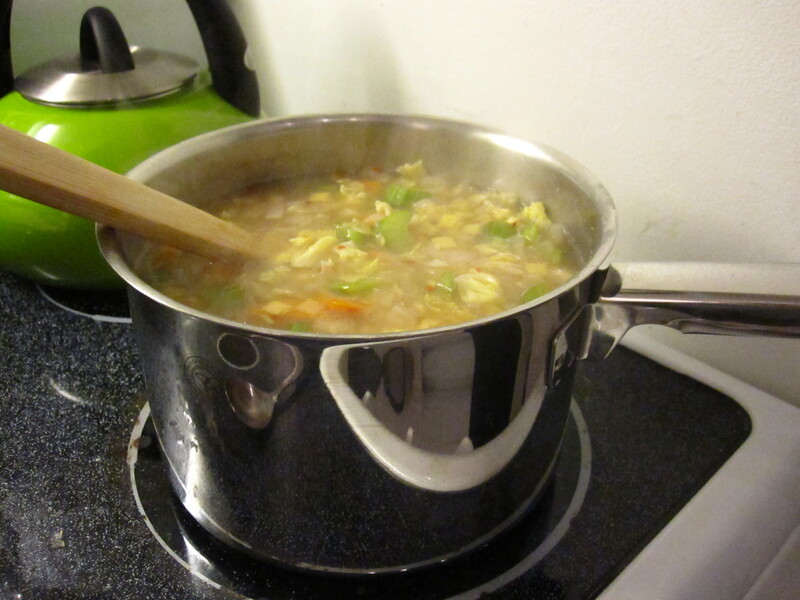 Add 8 cups of cold water (this is also important for the water to be cold as you can extract more flavourful components out of the veggies if you go from 10 degrees to 100 degrees C. Bring to a boil and simmer for 20 minutes. 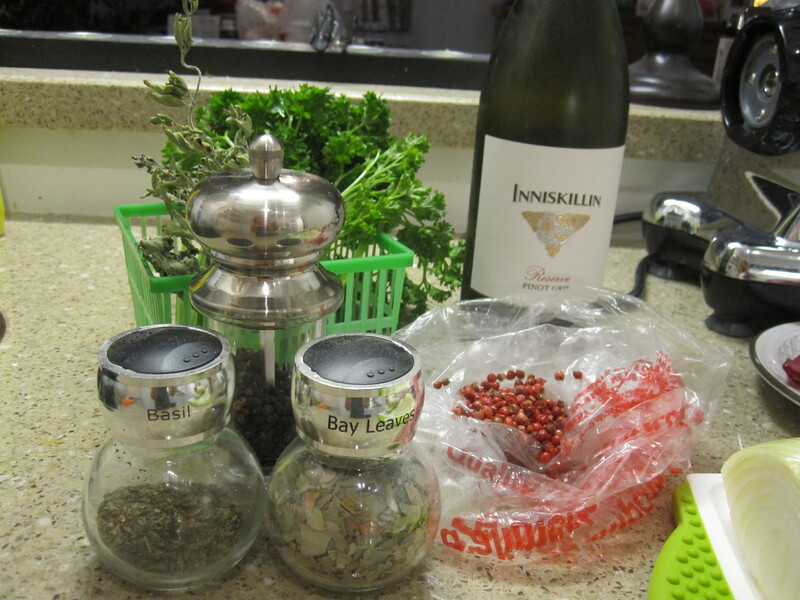 Remove from heat and add fresh herbs and the wine. Let browth cool completely and chill for 24 hours in fridge. 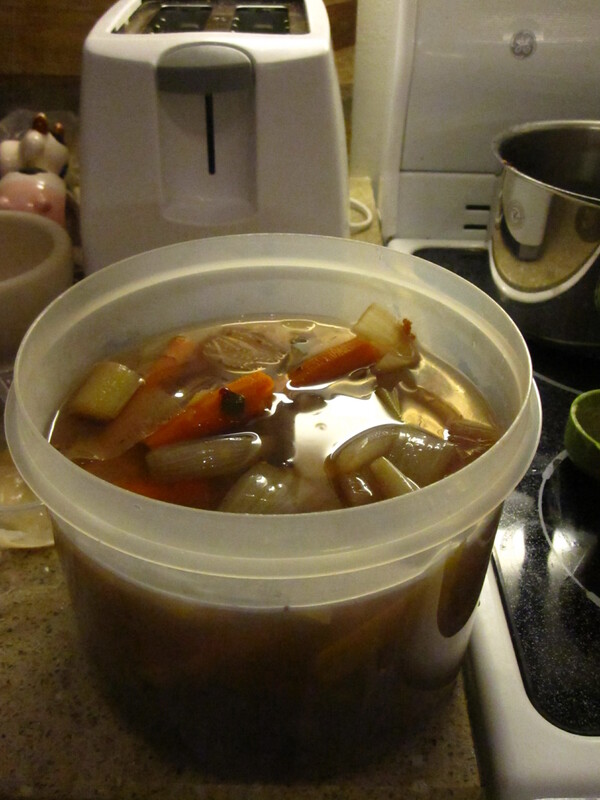 Strain off all the veggies to get the vegetable broth and keep broth in the fridge untl ready to use (keeps for 3 days). When ready to heat, warm broth and add veggies such as carrots, celery and very thin pasta if desired to get a fresh, hearty soup.